One on One Training – we do not train in a class situation so that you learn more. Be trained by a Master PDR Professional that is still hands on repairing vehicles. We have retrained many technicians that were trained by others. No Panel Beating or Spray Painting experience necessary. Up to 75 percent cheaper than traditional panel and paint repair prices. Maintains the original factory paint and body condition. Increases the value of the customers car. No consumables and is highly profitable for the Dent Technician. Insurance companies worldwide are now choosing this method of repair to repair Hail Damage vehicles as it’s far more cost effective. With a huge shortage of qualified professional Paintless Dent removal technicians worldwide we are always seeking technicians during hail season in Australia and around the World. If you want to secure your financial future – contact us. If you want to stop gambling in how well you or your business will go – contact us. So take control of your future now and contact us now. We produce results and our student’s success show how well our training process works, and how you can become successful too. 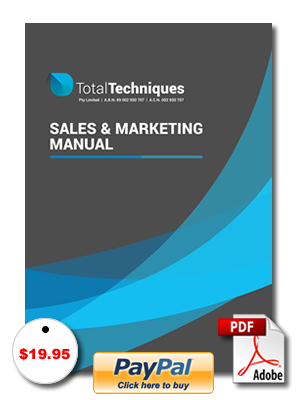 You couldn’t ask for a better opportunity than getting involved in this industry by either purchasing one of our training manuals or doing a one on one hands training course and start what could be the most successfully step in your life. 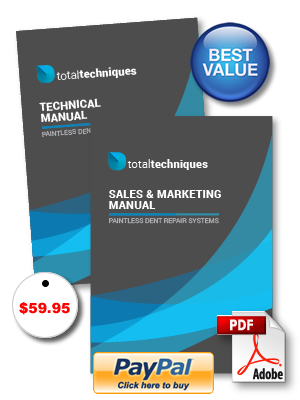 We also offer a Do – it – yourself Paintless Dent Removal training manual which will give you the secrets art to Paintless Dent Removal and how to carry out the process step by step and if you are unable to gasp the process from the manual we offer a 1 on 1 training course.